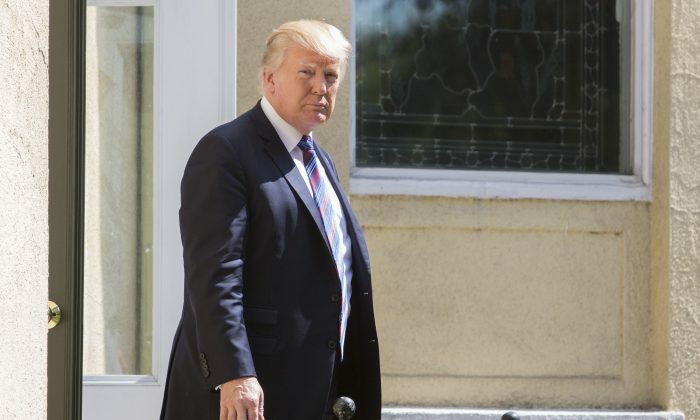 After North Korea claimed to carry out its sixth nuclear test on Sunday, President Donald Trump said the administration is in talks to cut the communist country off even more than it already is. “The United States is considering, in addition to other options, stopping all trade with any country doing business with North Korea,” Trump tweeted on Sunday afternoon. China is North Korea’s biggest trading partner. An hour before that, the president said he’s going to have a meeting with Defense Secretary James Mattis, White House Chief of Staff John Kelly, and “other military leaders” to hold talks on what to do about North Korea. 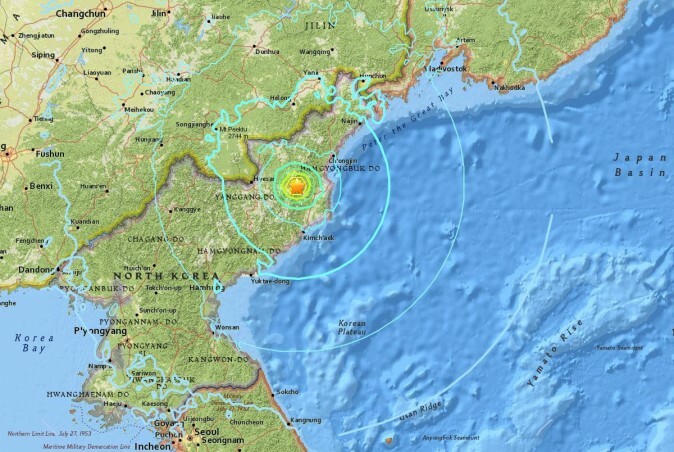 North Korea, via state-run propaganda channels, said it had carried out a successful test of a hydrogen bomb. 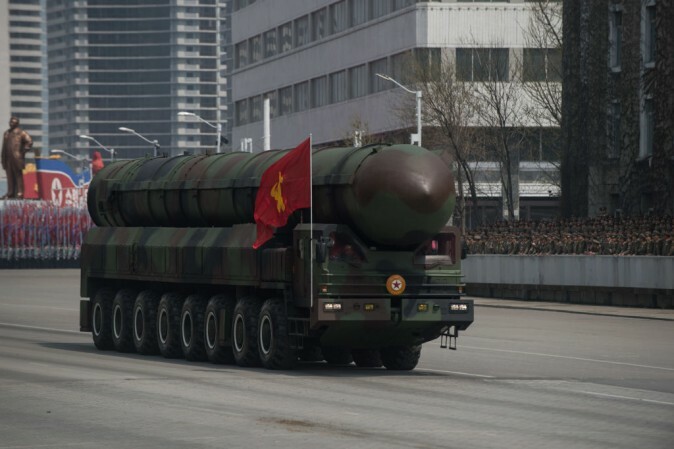 Hours before that, it showed photos of despot Kim Jong Un inspecting what the regime claimed was a bomb that could be mounted on an intercontinental ballistic missile (ICBM). Other countries have yet to confirm the veracity of North Korea’s claims. He added that South Korea’s government should understand that North Korea’s leaders “only understand one thing,” he wrote. Reporters again asked Trump as he exited a church on Sunday morning about whether the United States is planning to strike North Korea. He said, “We’ll see,” Politico reported. A week ago, North Korea launched a ballistic missile over northern Japan, prompting warnings from the Japanese government. Japanese Prime Minister Shinzo Abe, according to Reuters, said he and Trump agreed that the international community must step up its response to North Korea’s threats while agreeing separately with Russian President Vladimir Putin to cooperate.